Each storage category requires separate boxes or bins. 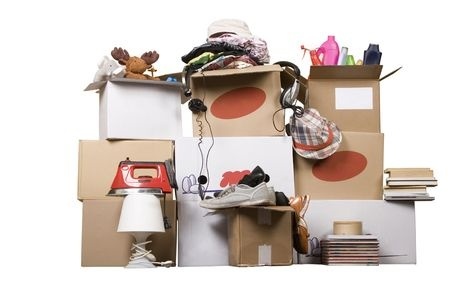 These tips to organize storage can help whether you have an attic, a loft in the garage, or boxes stacked against the basement walls as your storage space. With this easy-to-use system, you can even track storage in multiple locations. Items you'll need to organize storage include sturdy storage containers, a permanent marker, pens or pencils, and either a piece of paper or a notebook. Each category requires separate storage containers. Categories could include items such as dishes, holiday decor, kids' clothes and important paperwork. For example, you might have three dishes containers, four holiday containers, five kids' clothes containers, and two paperwork containers. You might want to consider using different color boxes to make it easier to quickly find the various categories. 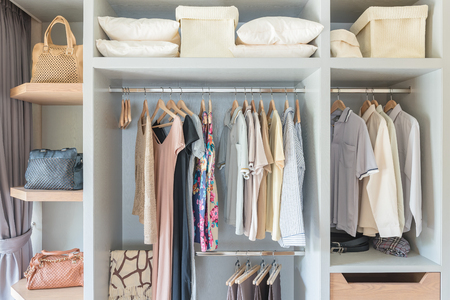 You can further simplify storage by assigning different color boxes or storage bins to each family member. Then assign each of the storage containers in each category a number. For example, Dishes 1, Dishes 2, Holiday 1, Holiday 2. You don't have to actually divide the space physically; just imagine your attic, loft, or garage divided into four parts. Then assign an area of the room for each category. For example, holiday decoration go in the southeast corner of the basement, kid's clothes in the northeast corner. Once you've assigned each of your categories an area of the room, sketch (no artist rendering required here, just a rough area map will do) the storage area, and note where each category resides. On the same page, list each storage container and its contents (Dishes 2, Holiday 6, etc.). If you add more storage containers to a category, you can just add a number (Dishes 3, Holiday 7). Note the number of storage containers in each category. That way, when you retrieve things, you'll know if you have them all. Now, when you want to find a special holiday decoration, all you have to do is consult your list (it's in Holiday 4) and your map. (Holiday is near the southeast corner of the basement.) And so can your family!